Walking into the headphones section of any electronics retailer can be an overwhelming experience; personal audio is a saturated market yet new players seem to keep popping up. 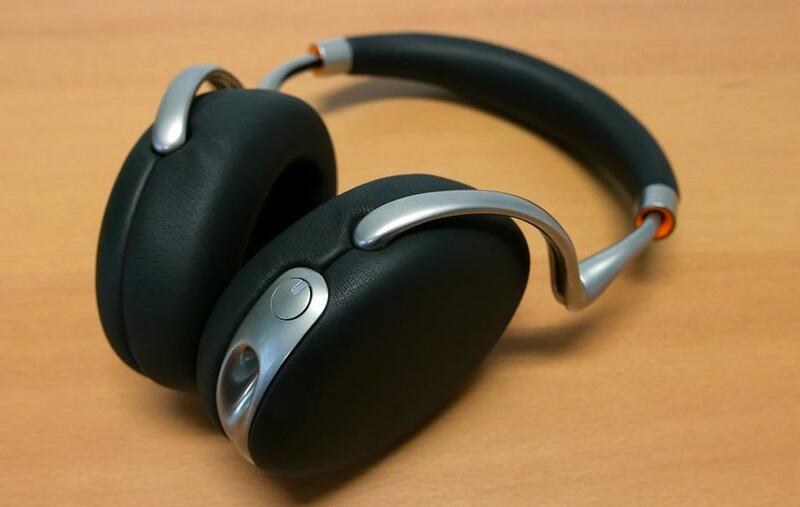 Despite the plethora of headphones avaiable, none of them are as interesting as Parrot's wireless, noise-cancelling Zik 2. Designed in collaboration with renowned French designer Philippe Starck (incidentally, the mind behind Steve Jobs' yacht) Zik 2 certainly aren't you average pair of headphones. Boasting a slightly slicker design than the original Zik, Zik 2's biggest physical change is that they're 17% lighter. At 270 grams, they've got weight, but aren't too heavy. The headphones themselves are comfortable to wear, they feel tight without being constrictive; you're not to lose them if you're wearing them while running. The Zik 2 headphones are adorned in soft leather, which definitely adds to the comfort, but also makes them prone to scuffs. I managed to pick up a few small marks on my black review unit just from keeping them folded away in my bag. I imagine this would be more of a problem with the lighter colours the headphones are available in, especially white. You've also got the choice of blue, yellow, tan or an orangey red. As unique as Zik 2's design is, it may not suit all head types. Getting the headphones to comfortably fit over my ears left a bit of weird gap between most of the band and my head, almost creating the illusion that they're floating. Admittedly, other people I showed them to didn't have same problem, but if you're fashion-conscious you'll definitely want to try on Zik 2 for yourself first. The headphones' right can doubles as a touchpad of sorts. Swiping up and down will increase and decrease the volume, swiping left and right moves back and forward between tracks and tapping the centre pauses or resumes playback. These gestures work pretty well most of the time, but can be a little finicky. In terms of inputs, the Zik 2 headphones have a micro USB port for charging, 3.5mm input for wired usage and a removable battery compartment.